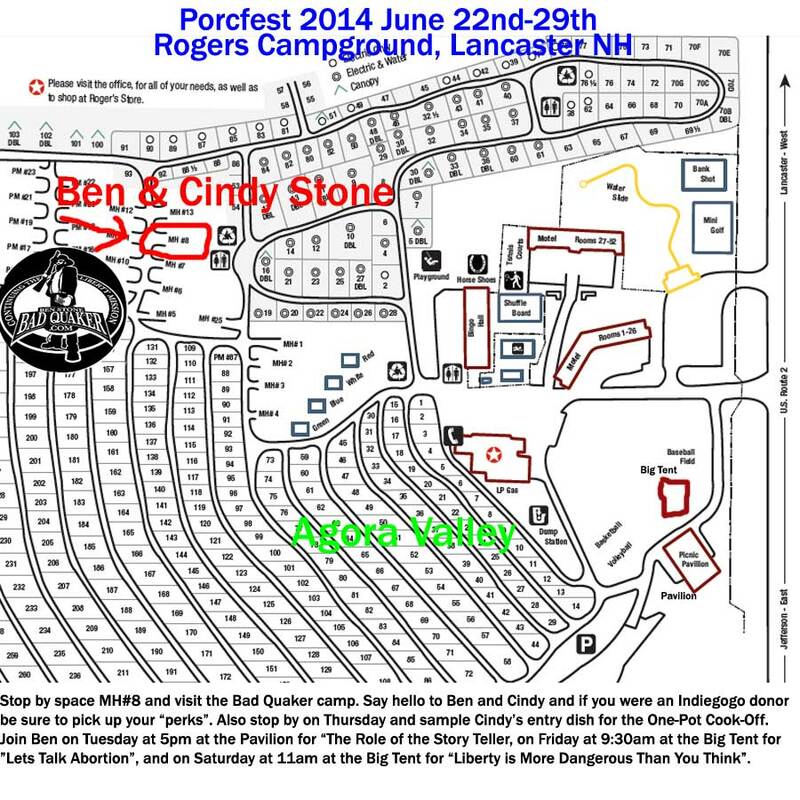 Ben and Cindy will be attending the Porcupine Freedom Festival (PorcFest 2014). Be sure and stop by their camp and say hello! Click the picture for the full size version. 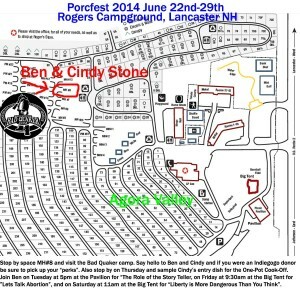 This entry was posted in Bad Quaker Fun, Brief Articles and Short Notes, The Campfire, Voluntaryism and Social Interactions and tagged Ben Stone, Free State Project, Indiegogo, New Hampshire, porcfest. Bookmark the permalink.